“This store makes me feel like we are not forgotten,” remarks Geraldine Foulks as she pushes her shopping cart down the wide aisles of Imperial Fresh Market in northwest Detroit. She scans the large assortment of produce and carefully selects collard greens for her evening meal. She shops with her friend Alice Dorsey. The two have been regulars at this location just a few blocks from their homes for more than 50 years. “This store makes me feel like we are not forgotten…Thank God for Imperial Market,” remarks Geraldine (Left), who along with her friend Alice (Right) have seen many changes at this grocery store over their 50 years of shopping there. That sense of community comes straight from its owners, the Shinas, a group of five brothers who immigrated to Detroit from Iraq and adopted the city as their hometown in 1980. Originally part of the Farmer Jack supermarket chain, the property was taken over by the Shinas 20 years ago, and they have dedicated themselves to serving their neighbors through all of the turmoil for which Detroit has become known over the years. While Detroit’s recent downtown renaissance has been much celebrated, change in the neighborhoods has not been quite as swift. Seventy percent of Imperial Fresh Market shoppers receive government assistance for groceries. Still, the Shina brothers remain committed. For example, the store recently underwent a more than $6 million renovation, doubling its size to 40,000 square feet. Customers like Geraldine are now greeted with a bright new shopping experience filled with an abundance of fresh fruits and vegetables in beautiful displays near the door. A large meat and frozen food department provides plenty of options for mealtime. Many products are sourced locally. And the renovation added a bakery, deli and pharmacy—allowing easy access to a variety of products and services for locals. The family-run supermarket makes a point to treat customers like family, too. Friendly cashiers and baggers welcome customers inside, and the management makes a point to stop and chat. Head cashier Michelle Delaine has worked at Imperial Fresh Market for 15 years—back when it was called Banner Super Store—and says serving shoppers like Geraldine makes her work a pleasure. Also attending the opening was a veritable who’s who of local and national organizations, providing a behind the scenes glimpse at just how creative the financing of this venture really was. “When you look around this store you see the kind of quality and choices Detroiters deserve,” proclaimed Detroit Mayor Mike Duggan (center with red tie) who attended the ribbon cutting celebrating the new expansion. A big portion of the financing was facilitated through Capital Impact Partners’ ability to allocate $5.5 million in New Markets Tax Credits (NMTC). The NMTC program is managed through the U.S. Treasury Department’s Community Development Financial Institution (CDFI) Fund. This program helps CDFIs like Capital Impact leverage private investment through the use of tax incentives. Incentive programs like these are vital to bring much needed capital from the private sector and support efforts to finance projects in low-income communities. 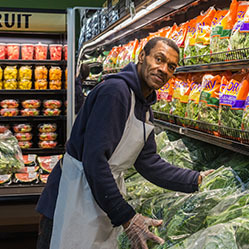 Capital Impact also worked with the Detroit Economic Growth Corporation’s (DEGC) Green Grocer Project, which helped coordinate technical assistance and financing. Imperial Fresh Market was DEGC’s biggest project to date for an independent store. JPMorgan Chase provided additional support through its Community Development Business Program. More deals like Imperial will be possible thanks to a new effort called the Michigan Good Food Fund managed by Capital Impact. This public/private partnership is a loan fund that provides financing to food enterprises benefiting underserved communities across the state. 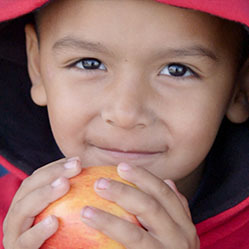 The fund was created in 2015 through a partnership with the Fair Food Network, Michigan State University Center for Regional Food Systems and the W.K. Kellogg Foundation. “We’re excited about our ability to bring so many players to the table across the public, private and philanthropic sectors to make sure that projects like Imperial Fresh Market get the financing they need,” says Ian Wiesner, Business Development Manager for Capital Impact Partners. Due to the increase in business, Imperial Fresh Market added 50 new staff members. Cashier Ladonna Moore worked for the Shinas for eight years and recently returned to her job after taking time away to care for her child. She loves the renovation and says it has breathed new energy into the neighborhood. Looking to Finance Your Healthy Food Enterprise?